There’s nothing I like more than a fruity Lush product. Jester Reusable Bubble Bar is therefore right up my street. Its scent is very similar if not almost the same as the Brightside Bubble Bar. 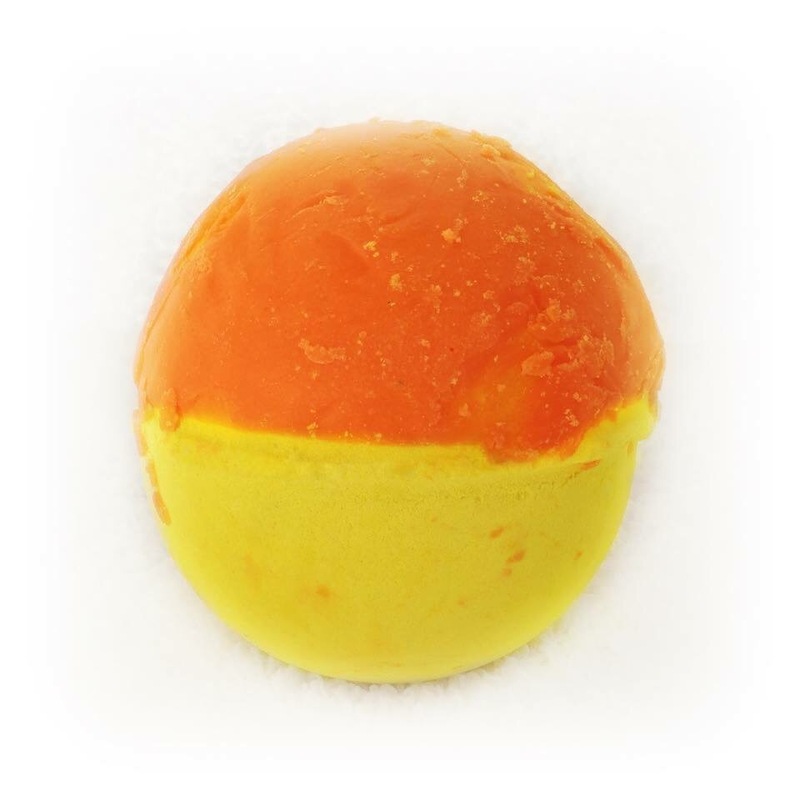 It is rich with all of the best citrus ingredients making it a sharp, zesty and refreshing bath time treat. Reusable bubble bars are slightly different to the normal bubble bars such as, The Christmas Penguin or Ultraviolet. With the normal bubble bars you’d break them up and run individual pieces under a running tap to produce bubbles. 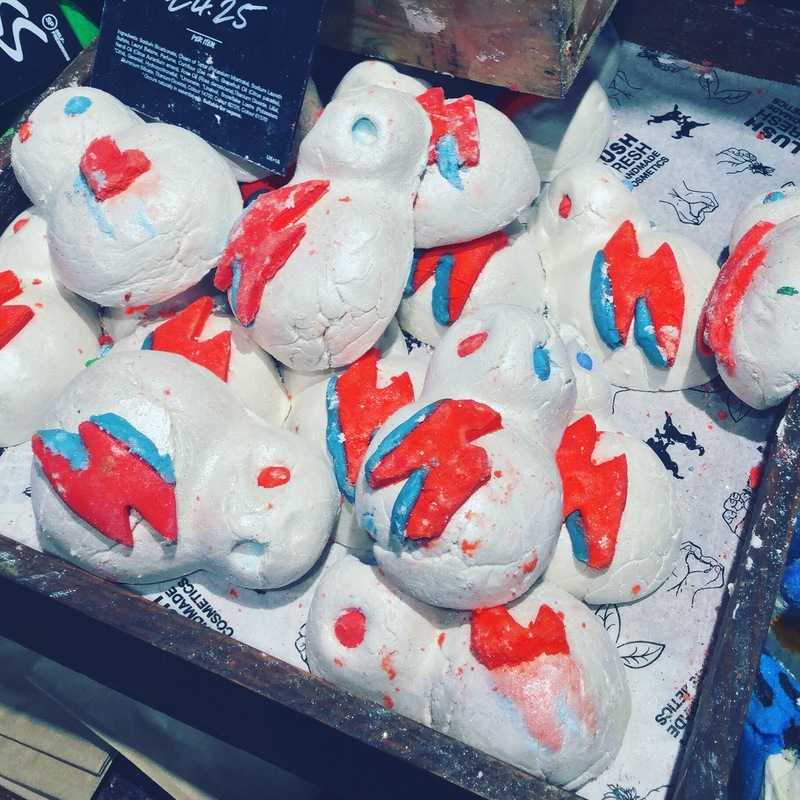 A lot of people like the Lush bubble bars because of this. It’s nice to have a bath product that you can spread out over several baths rather than just the one. Having a reusable bubble bar brings a whole new meaning to making one bath product stretch over several baths. You don’t have to break a reusable bubble bar up, you simply run it under the tap, (as shown below) until you have the desired amount of bubbles in your bubble bath. Once you have the desired amount of bubbles in your bath you simply put the reusable bubble bar somewhere it can dry off. I like to leave mine in my bath rack, I find that storing it like this between uses ensures that the bubble bar dries off evenly, making it last longer. Out of just the one Jester bubble bar, I can easily get 5 generously bubbled bubble baths. Not only does the Jester produce copious amounts of bubbles, it also turns your bath water a bright and magnificent orange colour. Jester makes the water feel so much smoother, when I get out of the bath I can really notice it on my skin. It makes my skin silky soft and I also notice that it appears brighter too. It is the perfect product to perk you up if you find yourself slipping into the winter blues. The Jester reusable bubble bar is a great addition to the Winter 2016 Lush line, I however wish it would create longer lasting bubbles. I find after about 10 minutes the bubbles seem to have mostly disappeared. Its scent however stays strong throughout your time in the bath and it does brighten my winter-tired skin. When 2016’s Halloween and Christmas line leaked online and I first see Bubbly Shower Gel I honestly thought, ‘ooo a new shower gel,’ then moved on to looking at other things. If I would have known it was Celebrate scented I’d have literally screamed my house down, I also wouldn’t have completely forgotten about it seconds after seeing it… DOH! There are a few Lush scent families that I claim are my favourite. It is so hard to choose just one, as there are so many beautiful Lush fragrances on offer however, anything Celebrate scented is always a hit with me. I have given up hope of ever getting hold of a bottle of Celebrate Shower Gel, I think it is on every Lushies desperately in search of list BUT because of copyright issues that I don’t really understand, it cannot be produced in the UK. Some argue that this shower gel isn’t quite the same as the other ‘celebrate’ products, I can see what people mean but all in all it is 100% a member of the Celebrate family according to my nose. Bubbly Shower Gel is a lot thicker in consistency than I had anticipated. It doesn’t pour out of the bottle it gloops. Its texture reminds me of honey that you get in the squeezy bottles. I know the word ‘gloop’ isn’t the most inviting for a shower gel, I however really like its gloopy composition. It’s an identical consistency to Lush’s Plum Rain shower gel , thick yet silky smooth. A little of the Bubbly shower gel goes a very long way and it lathers up effortlessly. As you work it onto your body the scent really hits you. It’s a delicate fragrance that is very warming and relaxing. In my imagination the scent makes me think of family meal times. Especially those where we are celebrating Christmas, a birthday etc. It’s quite a tangy citrus and it really is such a beautiful scent. The smallest amount of Bubbly shower gel leaves my skin bright, soft and perfectly moisturised. Although I have several shower gel and cream favourites, I’d go as far as to say that Bubbly is one of the best Lush shower gels that I have ever used. If I ended up in hell and was only allowed to take one shower gel with me, Bubbly would make it into the shortlist without a doubt. Its scent stays with me all day. My skin adores it, as does my nose. I have both the liquid and solid versions of Celebrate perfume a dab or a spritz of this intensifies its fragrance yet is still soft enough to not become over powering. I will be buying several bottles of this before Christmas has finished and I will miss it in all of the shops and online once it has gone. I hope they decide to bring it out next year too and maybe some more Celebrate scented products, a return of the Celebrate Body Lotion and First Snow Dusting Powder would go down a treat. Bubbly really is a beautiful shower gel, so much so that I may even go all out and buy a kg bottle of it! Now that winter is in full swing I have to pull my socks up to review all of the new Christmas stock starting with one of my favourites so far, the Snowie bubble bar. I am still not ready for Christmas decorations but Lush Christmas stock is always VERY WELCOME! Last year’s winter seemed to last forever… I can’t quite believe how fast this one is going. Halloween has been and gone, October was a blink and you missed it month. Where did all the time go? When I found out that Lush were bringing out a Frozen scented bubble bar this winter I was so, so excited. Although Snowie is slightly odd looking according to some, I can’t help but love him and on first sight all I wanted to do was grab every single Snowie Bubble Bar, ready to take them home. The first time I came across the Lush scent that is Frozen was in the Frozen bath bomb, back then it was a Lush Oxford Street exclusive and I had to ask my friends and family to post me them by the gallon. Frozen was for a very long time my favourite Lush scent, it still is one of my favourites I have however collected a few more faves along the way. The grapefruit and neroli oil used in the Snowie bubble bar work beautifully together. Neroli oil is actually scientifically proven to increase the levels of serotonin in the brain, AKA the happy hormone. The bubble bar’s scent is both refreshing and uplifting, paired with a Frozen bath bomb it makes one crazy, good bath cocktail. The smallest amount of Snowie creates mounds and mounds of fluffy white bubbles. The water underneath those bubbles isn’t very colourful, it appears quite milky white which isn’t a bad thing at all. The water becomes so much softer and hydrates my dry, winter-tired skin beautifully. Sometimes too many bubbles annoy me because of all of the popping going on, I however feel like I can lay back and relax in a Snowie bath, its scent is just so relaxing and lifts bad moods, helping me feel cool, calm and content. Don’t be put of by its smaller size either. I manage to get 3 very overindulgent, bubble baths out of just the one.